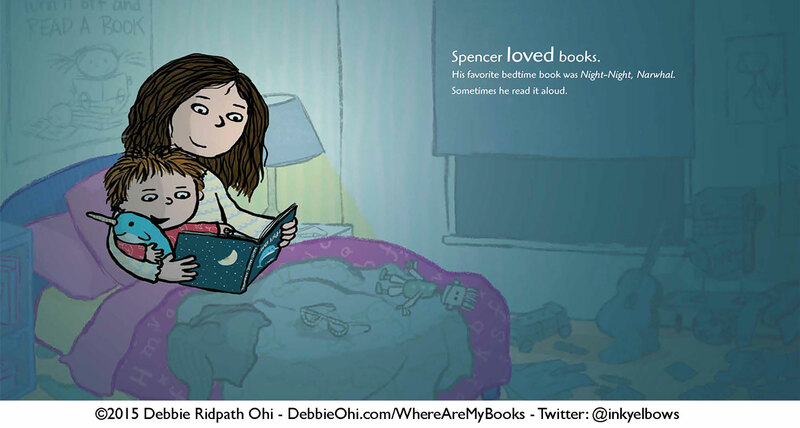 Some of you might know Debbie Ridpath Ohi from her illustrations in Michael Ian Black’s picture books NAKED! (2014) and I’M BORED (2012), or from her artwork donning the 2014 reissued collection of Judy Blume books. Or you might know her from, well, just about ANYWHERE online. I first met Debbie at the 2010 SCBWI Summer conference, where we were among six illustrators picked for a Portfolio Mentorship program. It was a bonding experience, one that played a major role in the start of our careers, and we’ve been friends ever since. Debbie is an extremely generous sharer of information and promoter of fellow writer/illustrators, and she’s also a total joy to be around! For those who don’t know Debbie’s backstory, she spent many years submitting as a writer while doing comics on the side, as she would say, “just for fun”. She never expected those drawings would catapult her career as a children’s book illustrator. Her SCBWI success story is an inspiring one, which I recommend reading here: How a rejection got me a book deal. 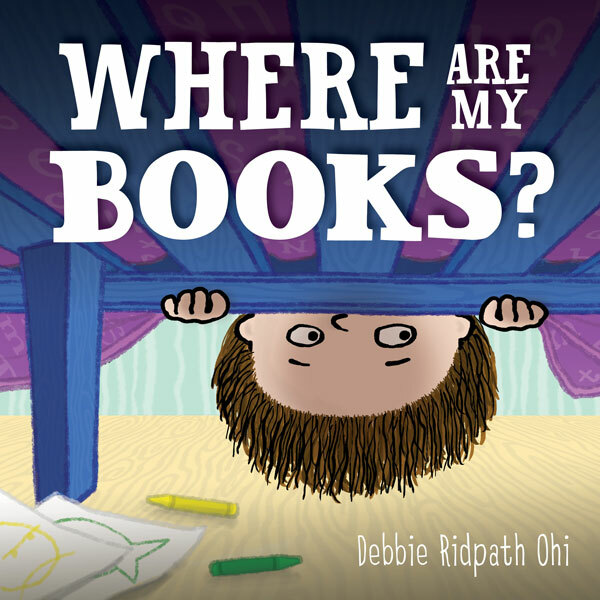 After a few years building her illustration career, Debbie put her writing hat back on and last week celebrated the release of her debut picture book, WHERE ARE MY BOOKS? It’s about a boy, Spencer, who loves his books, but one morning his favorite book goes missing, and in its place is a tulip. Spencer searches high and low, but he can’t find his book. The next morning another book is missing, a nut in its place. And the morning after that, another book is missing. What is happening to Spencer’s books? When he finds out, Spencer devises a surprising solution that will delight readers (and librarians) everywhere. 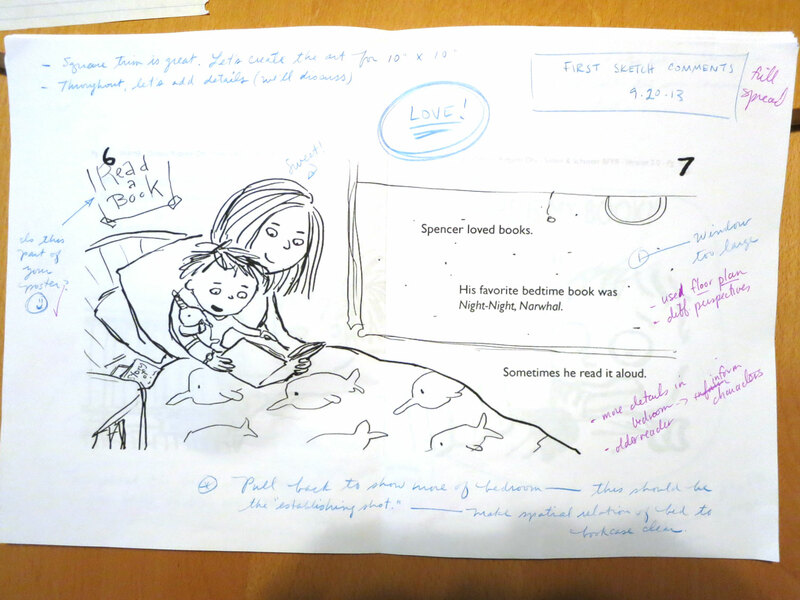 Debbie was kind enough to answer a few questions for our Picture Book Builders blog about the process of working on her new book. Q: After working for the past few years as an illustrator, how did it feel getting into the writer’s seat again? I have so enjoyed illustrating and look forward to continue illustrating other people’s stories, but it was definitely satisfying to put on my writer’s hat again. I also discovered how different it is to write a picture book than to write a middle grade/YA novel. I learned so much about picture book writing while working with my editor, Justin Chanda. One of the first things I learned: writing a picture book is just as hard as writing a full-length novel, but in a different way. It’s SO important to cut out all the dead weight and pare down to the essentials. You have far fewer words to work with, and every word has to count. Q: Was there anything that was particularly challenging about this project? After talking with Justin, I eventually settled on third-person. I love books, but I did find that drawing a lot of them in WHERE ARE MY BOOKS? presented certain challenges. At first my books were too thick and short, and didn’t look like picture books. I made them thinner but found the challenge was to keep the linework full of energy and not like a technical drawing. I also didn’t want the linework to be so detailed that the characters got lost in the image. Q: Did you work on developing the words or pictures first, or do both at the same time? Debbie: I worked on the text first, but as Justin and I started the mss revision process, he suggested I try doing thumbnail sketches to help me figure out page breaks and pacing. I found this really helped my illustrator and writer parts of my brain work together! Q: Was WHERE ARE MY BOOKS an idea you’ve had for a while? Or did you pitch other ideas to your editor, Justin Chanda (to whom this book is dedicated), before landing on this one? 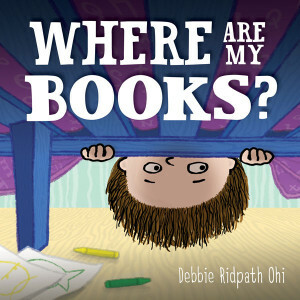 Debbie: WHERE ARE MY BOOKS? began as a single scribbled line (“Squirrels steal child’s books.”) during Tara Lazar’s PiBoIdMo (Picture Book Idea Month) several years ago​. At the time, I had no idea that one short sentence would evolve into my first solo picture book. I turned it and 3-4 other ideas into picture book manuscripts, and sent all of them to Justin. 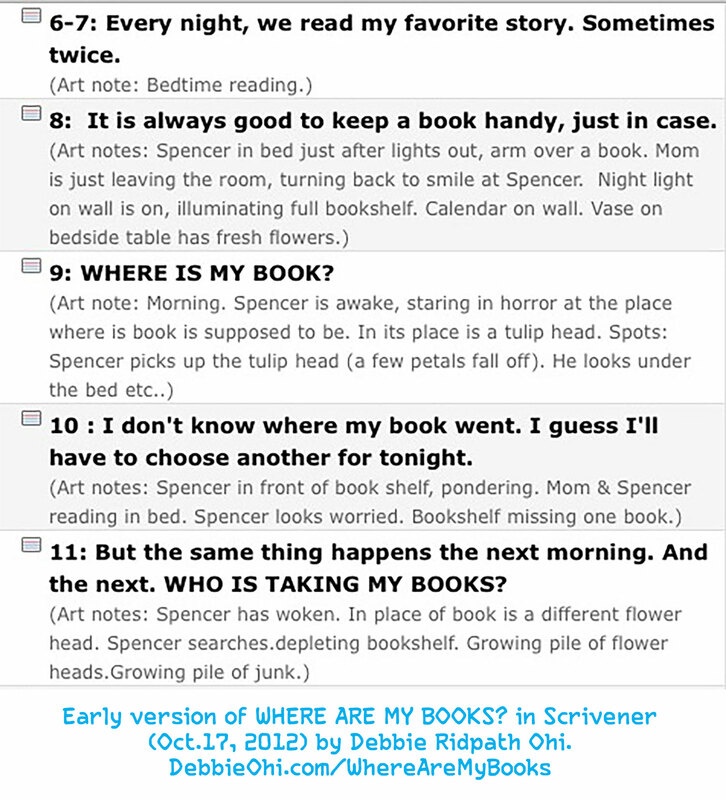 He saw the most potential in SPENCER, which was the original title for WHERE ARE MY BOOKS? Q: One thing that I love about your artwork and comics is your use of expressions – using very few lines, your characters come alive with emotion. It appears effortless. Is this something that came naturally when you started drawing, or is it something you had to work on gradually? ​Debbie: Thanks for the kind words! I’ve had others comment on my minimal line work conveying emotion​ as well, and I’m pretty sure I learned how to do this through creating comics throughout my life. Secret Fact: my minimal use of line work was originally based on laziness. The more detail I add to a character in one panel of a comic, after all, is more detail I have to add through all the panels. Now that I do this for a living, however, I can just say it’s part of my illustration style. HA! Thank you so much for sharing with us, Debbie, and congratulations on the release of this fun book, and the exciting literary milestone! 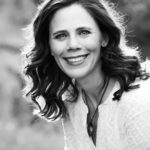 For more info on Debbie, her work and social media links, visit Debbieohi.com. 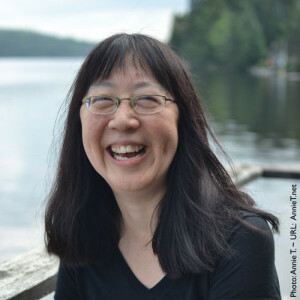 Debbie Ridpath Ohi, I'm Bored, interview, Judy Blume, Naked, Where Are My Books. Bookmark. Special Delivery – Silly & Surprising! Great interview! Debbie, I can’t wait to read your new book! Fun illustrations and premise. This was an outstanding post and interview. Thanks so much ladies! Next, I’m headed to Debbie’s article about how a rejection got her a job. I had a similar experience. I applied for a 4th grade classroom teacher job once and didn’t get it, but got another. The principal switched the current reading teacher to the classroom where she wanted to be and I got the job I’d always wanted as a reading teacher. It was a win win. How often does something like that happen? That’s great, Linda! Sometimes you can’t see the benefit to come when things go seemingly wrong. Love that! Such an interesting peek at the process! Thanks for this great interview! Outstanding! Thanks for doing this, Debbie and Eliza. And Debbie, having just read your How a Rejection Got Me a Book Deal post, I. am. awed. What a fantastic story! Debbie, You have such a positive energy! I was thrilled to meet you in NYC and read WHERE ARE MY BOOKS? What a fun book and I love seeing more of your journey. Great interview to you and Eliza too! Fantastic interview! Thank you, Eliza and Debbie. I love your “How a Rejection . . .” post, Debbie. Amazing that your first book was I’M BORED–I love that book. Congrats on the new book–can’t wait to read it! Eliza and Debbie, Thank you so much for this fantastic post. Loved seeing your process illustrations and drafts. Can’t wait to read your new book. What a fun interview! 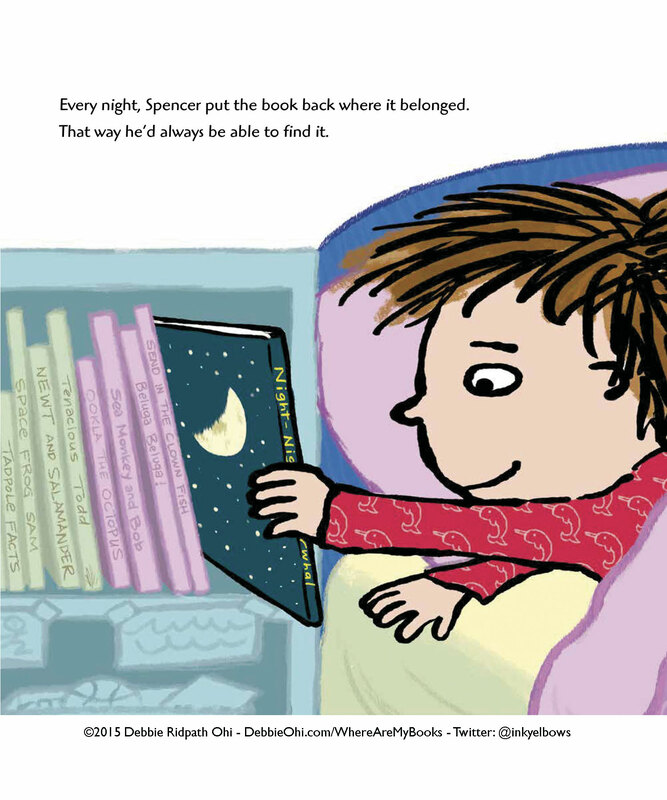 Love it when authors share a picturebook’s story – would you call that a bookography? Thanks Debbie for the inspiration and Eliza for the chance to see Debbie’s book evolve. I love this post, ladies! Before Debbie started writing and illustrating picture books, I was a fan of her comics. 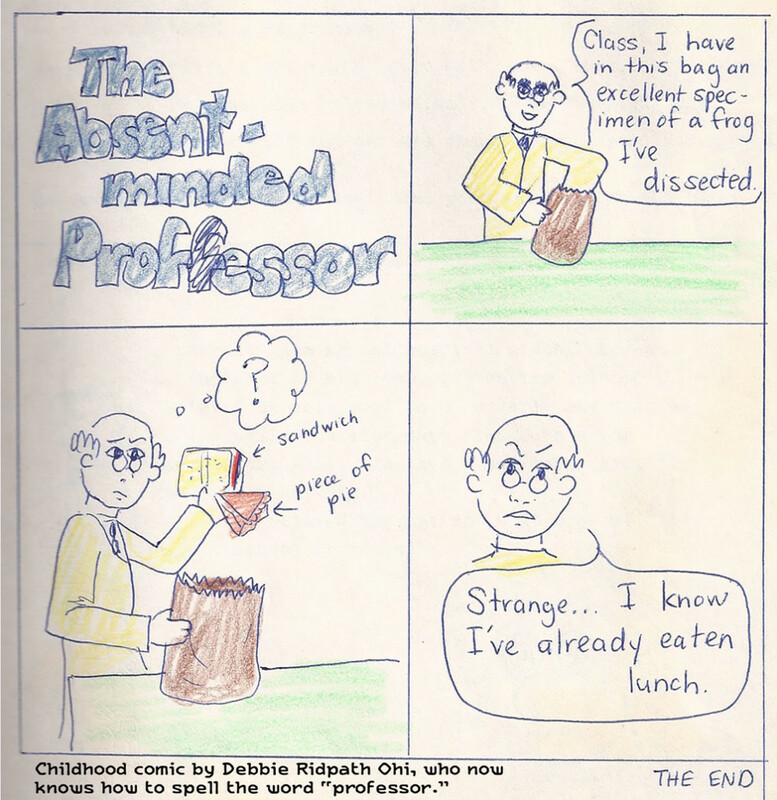 Debbie probably has no recollection of this, but, years and years ago, I emailed and asked if I could include one of her comics on a Powerpoint presentation. She was so gracious and kind and acted like *I* was doing *her* the favor. I did a little sleuthing and found the comic. Debbie posted it again in 2014. Hooray for all of you! It’s still one of my absolute favorites. I love that, Tammi! That is SO Debbie. And that comic is fantastic. I’m a big fan of Debbie’s work. She’s unbelievably creative. I hope I get to meet her someday and tell her in person! 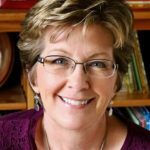 Congratulations on your debut picture book, Debbie! I’ve been wanting to read this one… Can’t wait! I love your constant enthusiasm. Thanks for sharing pieces of her journey, Eliza, and for interviewing her! Awesome post. Thank you to all for the fabulous comments — so happy that you liked this interview with Debbie! Fantastic interview and huge thank you to Debbie for continuing to be so generous in sharing her process and images to show that process. WOW!!! Great interview Eliza and Debbie. Where are my Books sounds adorable. I can’t wait to read it! I enjoyed reading the note for the first spread draft. So interesting.